Staying true to that vision, Paulo has led OutSystems to become a recognized global leader and pioneer in the low-code development market and one of the fastest growing B2B tech companies in the world. In 2018, OutSystems became Portugal’s first home-grown "unicorn”. Paulo is a recognized thought leader and visionary in software architecture. Before he started OutSystems, Paulo co-founded Intervento, an e-business software infrastructure company that was successfully sold in 1999. He also worked for Oracle Corporation, where he held multiple positions in R&D and product management. 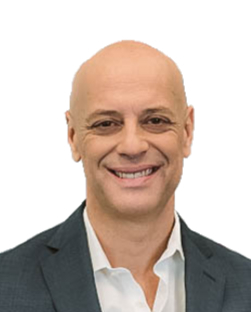 Paulo has participated in multiple executive education programs and holds a Master's in Computer Science from Stanford University and a Computer Engineering degree from Universidade Nova, Lisbon.